Back in 1999 I cofounded AOL-Files.com, which eventually grew into the largest AOL hacking site of its kind. FDO stands for Form Definition Operator. AOL communicates using this programming language. For example, after clicking any icon or button in AOL, FDO code is sent by the AOL system and interpreted by your AOL to create a window. So, the FDO language is the language used to describe forms on the AOL client. This site has focus on learning how to program in FDO and provides a surfeit of examples and tutorials for those who want to learn. When BMB, Rob, and I started AOL-Files, FDO was all but unknown outside of the AOL development teams. We did not have any official documentation, but through lots of experimentation we were able to figure out how FDO worked and eventually how to use it to discover holes in the AOL software and service. FDO tutorials are unheard of. 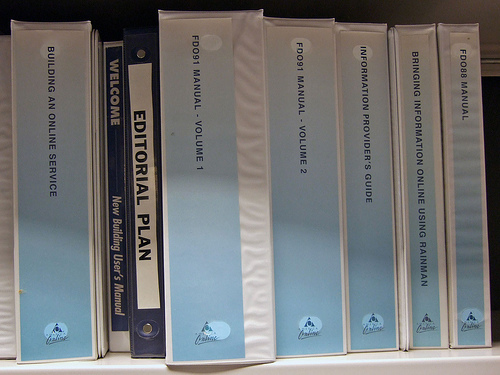 I have heard rumors that very few people at AOL have the FDO91 Manual. I will pay money for any professionally written, extensive, and full tutorial. Name your price. A little dramatic maybe, but we really did want the official manuals. Rather than reverse engineer it through experimentation, an official manual would tell us exactly what did what and with that information we could discover exploits at a much faster rate than ever before. Alas, we never got ahold of one and had to make due with figuring it through trial and error. Posted on January 28, 2012 by Mazur. This entry was posted in AOL-Files. Bookmark the permalink. Nice job putting this all together. Definitely nostalgic looking back on some of this old stuff. Now I know where my teenage years went lol. Haha, jesus man, where were these things in 1998…great memories. I worked on AOL’s weather page back in the day. The documentation was so poor, I kept threatening to write “Rainman for Dummies”.